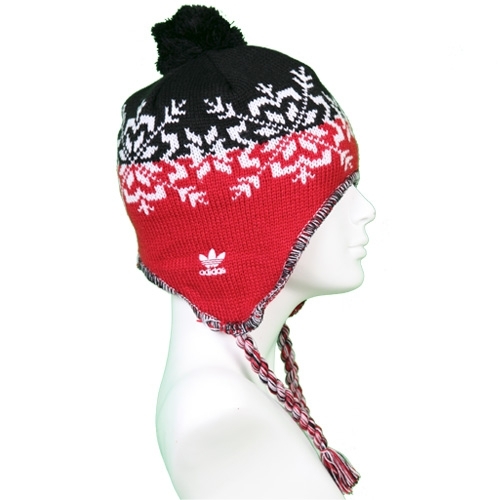 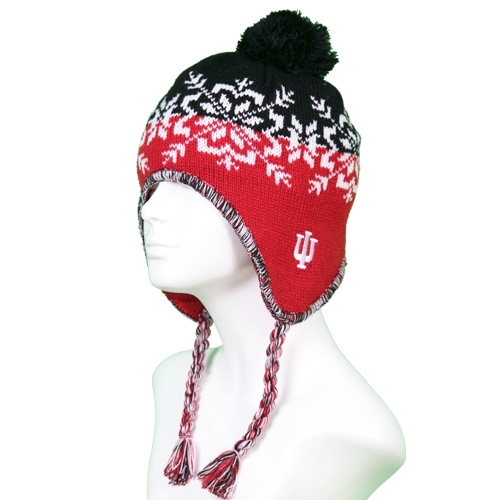 This ADIDAS INDIANA "IU" Knit Winter Flap Hat with Tassle is great for winter and will keep any fan warm. 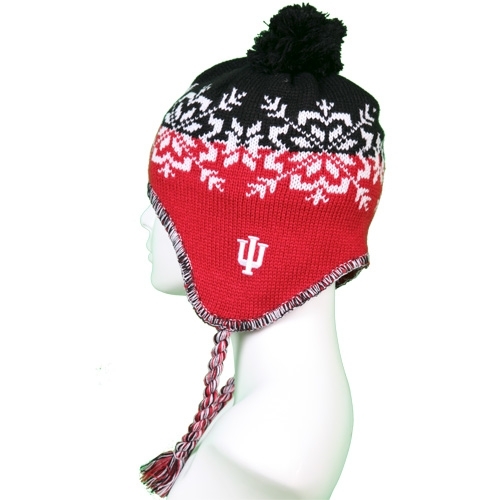 Black, Crimson, and white with snow flake designs, and Embroidered IU logo and Adidas on other. 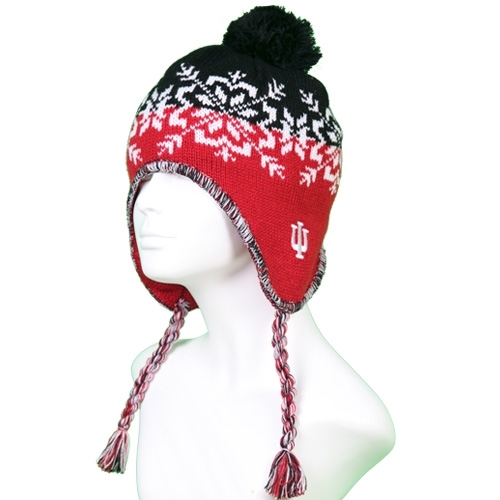 The Flap hat will keep your ears covered and your head warm. 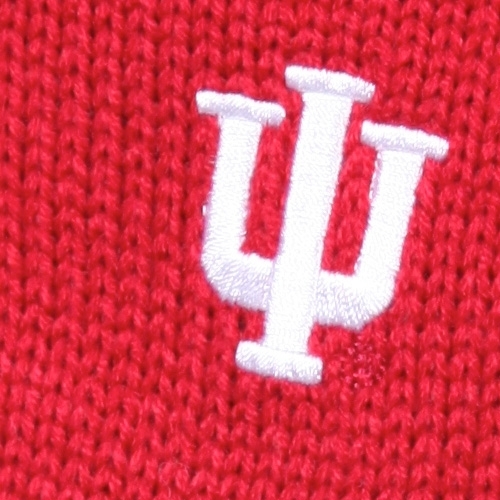 Stylish tassels also.